The colors red, white and blue mean a lot to the Americans who've bravely served our country. 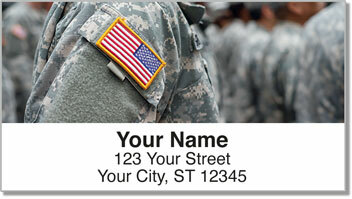 These patriotic address labels from CheckAdvantage were created in honor of those dedicated men and women. Each of the four designs in the set feature the U.S. flag along with other symbols of America. 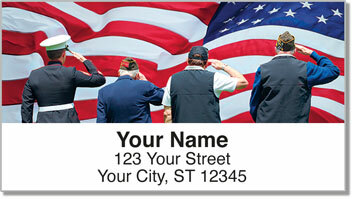 Colors of Honor Address Labels will look great on the other side of the envelope from traditional flag stamps. You're letters and packages will celebrate freedom. Plus, you'll save time thanks to the convenient self-adhesive backing. 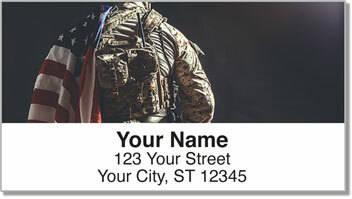 Order your own Colors of Honor Address Labels today! 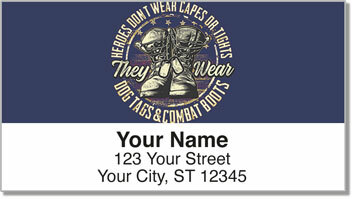 You can also get matching personal checks in the same patriotic style.